At the edge of the Arctic, the team carved out snow samples. Their results indicated pollution is making snow darker, even in remote sites like this. Snow isn’t as white as it once was, and it’s setting off a melting feedback loop. Back in September, I interviewed Jason Box, a climate scientist whose work focuses on tracking the albedo, or reflectance, of the Greenland ice sheet. According to Box’s measurements (and his stunning photos), something weird is happening—the snow and ice there are increasingly black, and scientists aren’t exactly sure why. And now, the first ever continental-scale survey of North American snowfall suggests that our snow is pretty dirty, too. 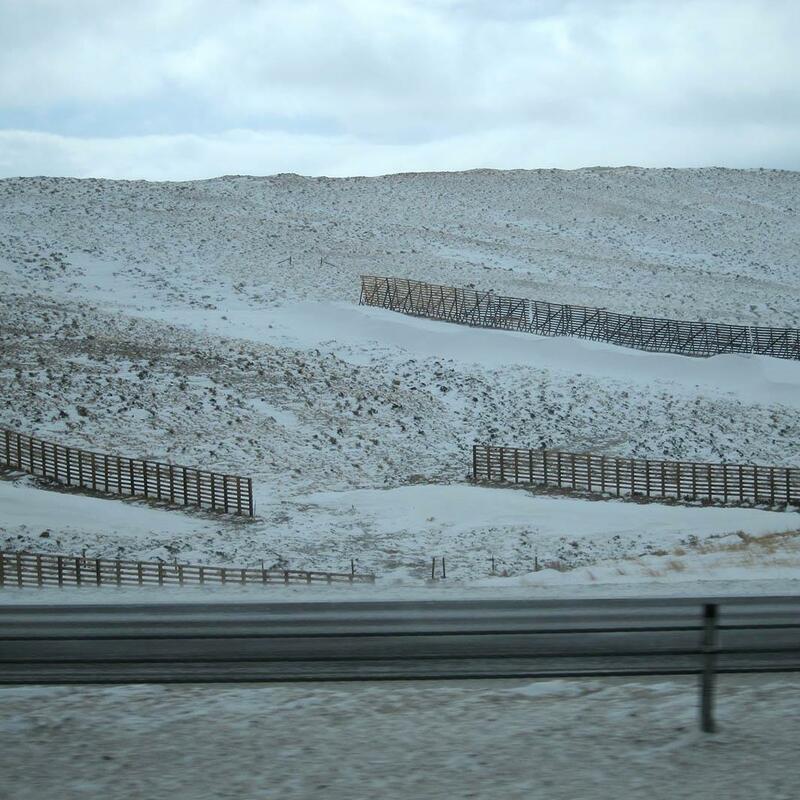 Snow fences form artificial drifts in Wyoming. The team endured nearly 10,000 miles of views like this. 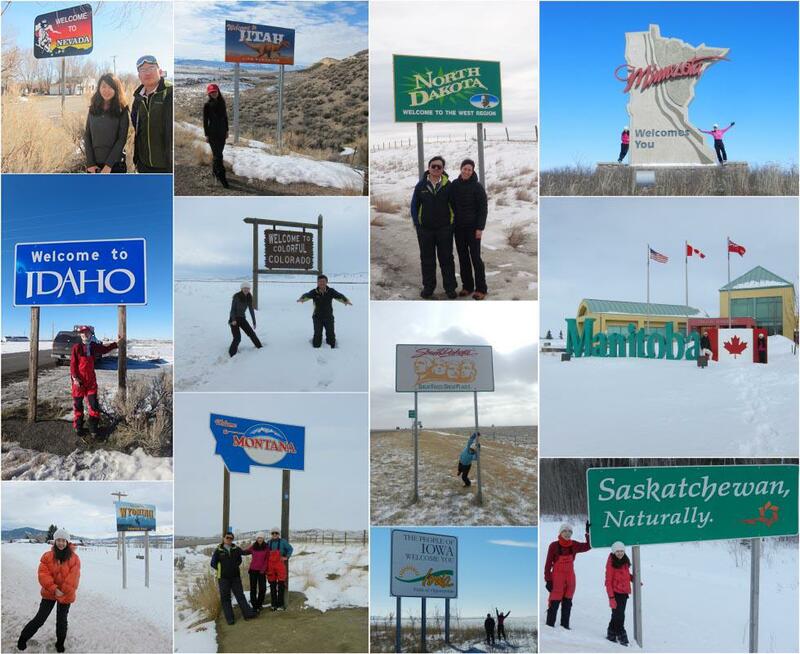 In the winter of 2013, University of Washington scientist Sarah Doherty embarked on an epic 10,000-mile roadtrip from Seattle across the Rockies, through the Great Plains, northward to the Canadian sub-Arctic, and back. Her team’s results were published in a recent edition of the Journal of Geophysical Research: Atmospheres. Changes in albedo are responsible for a significant fraction of global warming—about one-fourth as much as greenhouse gases, according to a recent study. If you’ve ever walked barefoot from light-colored concrete to black asphalt on a hot summer day, you’ll know what I mean. The increase in darkness due to dirt or wildfire soot or smokestack pollution literally changes the melt rate of the snow, causing it to disappear more quickly. Hence this alarming chart. A recent study showed Northern Hemisphere snow cover is declining faster than climate models have predicted, at a rate that outpaces even the stunning decline of Arctic sea ice. Another line of research has linked fluctuation of snow cover in Siberia and the decline of Arctic sea ice with recent bouts of weird weather in the eastern United States. What happens in the Arctic does not stay in the Arctic. 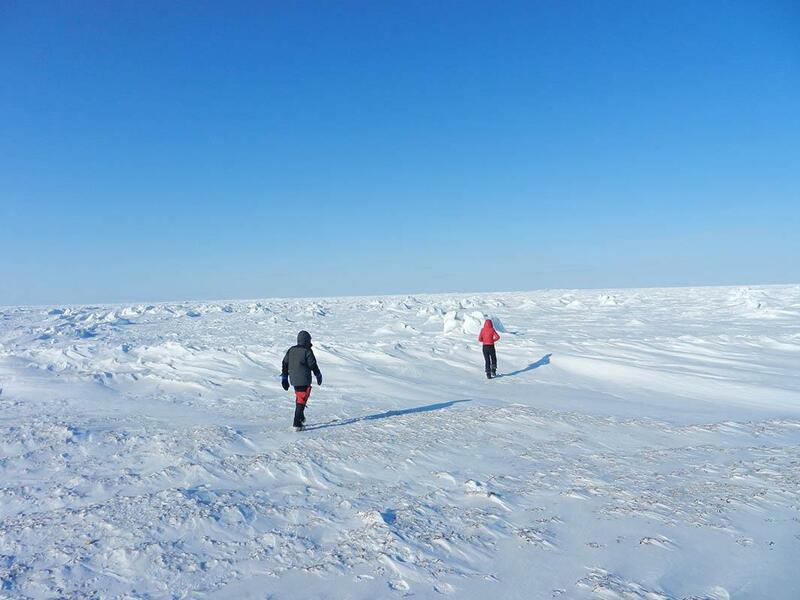 Dark patches on the snow are visible when you walk out onto a frozen Hudson Bay. But, as it turns out, snow in more temperate regions can affect the Earth’s albedo even more profoundly than boreal snow. That’s because vast sections of central North America are plains, and once the snow is deep enough to cover the soil, it transforms into a nearly perfectly reflective blanket of white. Temperate snow is also nearer its melting point, and the little bit of extra black carbon can act as a tipping point, warming the atmosphere even further, and transporting that extra heat right back to the Arctic. In sensitive areas like the Pacific Northwest that depend upon snowmelt for water supply, an increase in black carbon could have profound impacts on society. Doherty has worked in the Arctic for years, but she wondered, just how much is pollution making our snow darker, right here close to home? That thought motivated her to trek across the continent. The researchers travelled nearly 10,000 miles investigating the impact of pollution of the brightness of snow across North America. 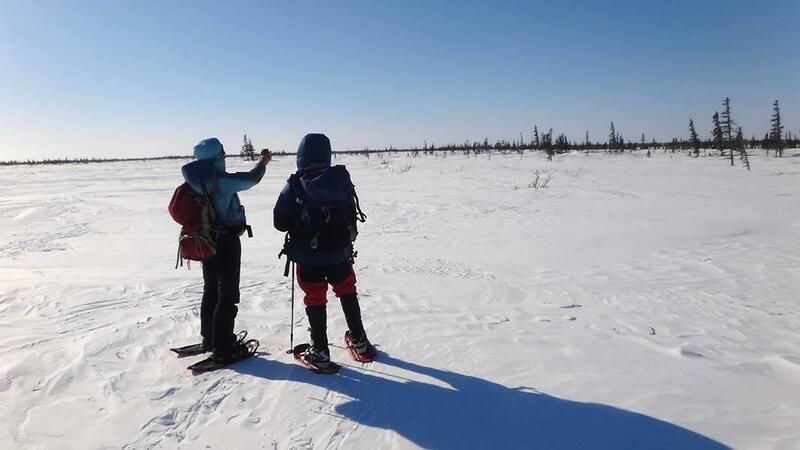 To get a better picture of what’s going on, the researchers had to travel to the snow. They sampled hundreds of undisturbed snowbanks in person, ideally as far from the main roads as possible, so as to form a lower bound for the next generation of climate models. 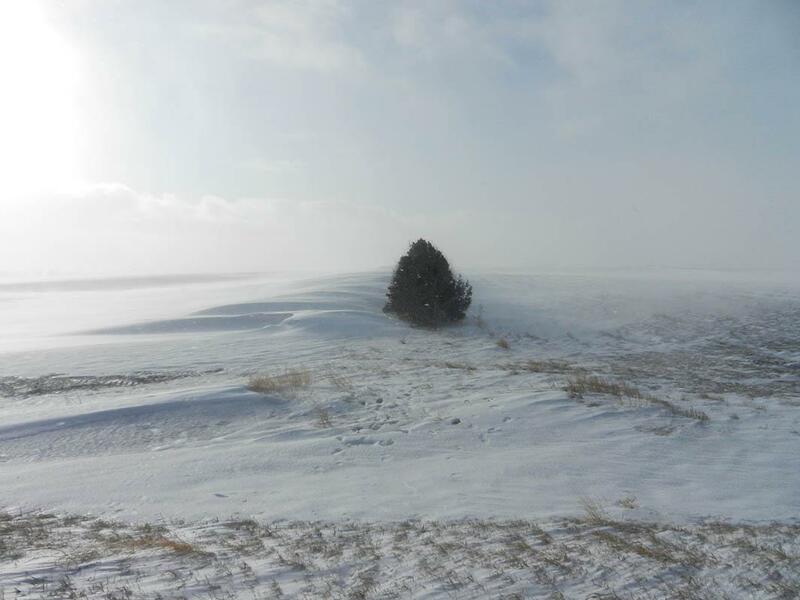 InÂ North Dakota, researchers were surprised at how much wind-blown dust was mixing with the snow and making it darker. Out of necessity, her research team ate at convenience stores and performed their analyses in hotel bathrooms. “It was sometimes boring and often entertaining,” Doherty told me. “At one small town in Canada, we asked where the hotel was, and they pointed three doors down to the Rednex Bar. Our choice for dinner was frozen pizza or frozen chicken wings, and the hotel was four rooms in the back of the bar.” The team, comprised of herself, her retired male colleague, and three Chinese students, frequently rented an extra room to store their equipment, which Doherty guessed probably made them seem like the oddest meth manufacturers possible. Every single site the team analyzed had snow that was darker than previous surveys showed for snow in Greenland. The dirtiest sample was taken near Bend, Oregon, which Doherty attributed mostly to wood stove smoke and vehicle exhaust. When they melted the snow in their makeshift hotel lab, the filter was visibly brown. 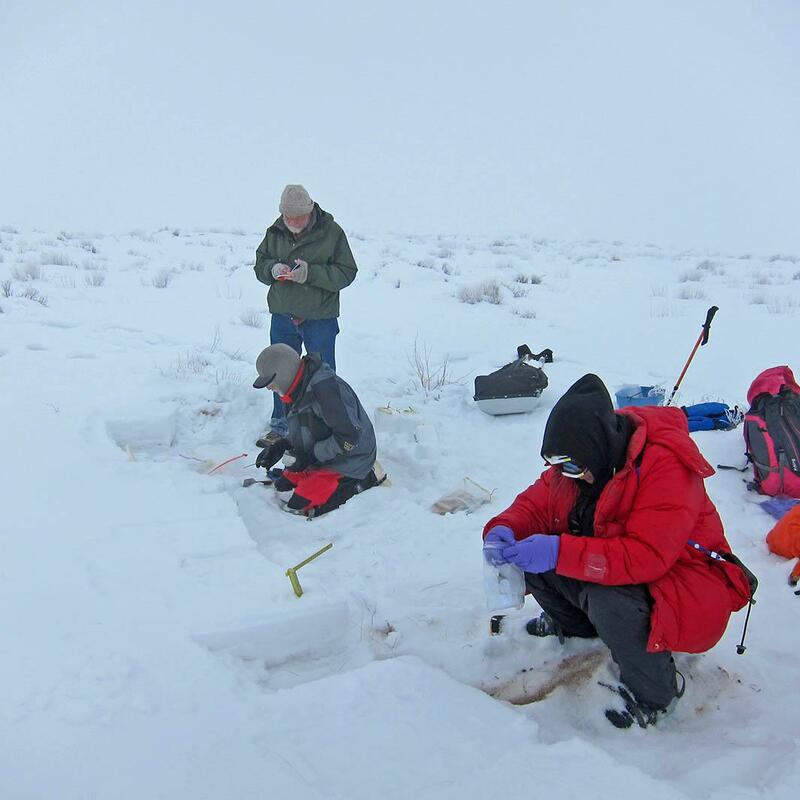 Collecting samples from a snow drift near Vernal, Utah. But the dirtiest snow on average was in the Plains states. Especially concerning to Doherty was the measurements she took in western North Dakota, in the heart of oil boom country. Black carbon concentrations were elevated (presumably from a mixture of oil field gas flaring, the plethora of diesel trucks, or from nearby coal-fired power plants), but the most shocking result was the sheer amount of regular old wind-blown dirt mixed in with the snow. Agricultural practices couldÂ be contributing to the amount of dirt that finds its way into snowflakes. Here, a field in Montana. 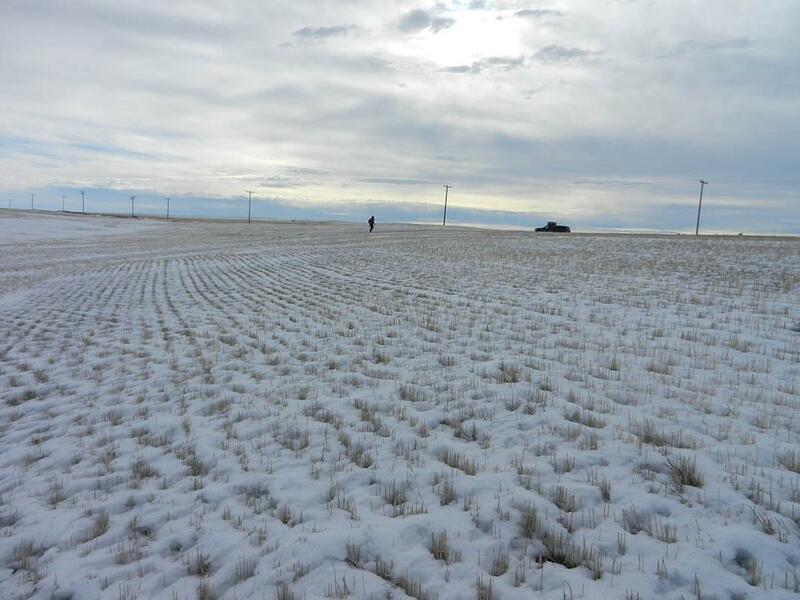 The dirt signal was elevated at many of the windiest Great Plains sites her team visited, leading to snow 10 times darker than on the Greenland ice sheet. A previous survey Doherty’s research team conducted in northern China using similar techniques found black carbon concentrations more than 10 times greater than that.